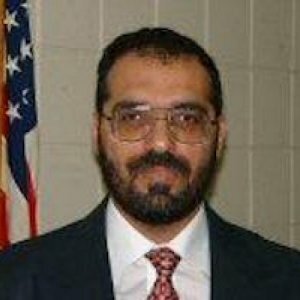 Hussein Abaza has more than 15 years of experience in the construction field and more than 10 years of collegiate teaching experience. With a doctoral degree in building energy efficiency and building simulation, Abaza has built several super energy efficient projects and has worked as a construction company owner, project manager, project engineer and estimator, as well as managed multi-million dollar research grants. A cooperative agreement that established a university partnership with Kabul Polytechnic University in Kabul, Afghanistan in the content area of Geographic Information Systems (GIS). A cooperative agreement which established a university partnership with the University of Karachi in communication design. This research focused on the study of the flexural load-deflection behavior of steel fiber reinforced rubberized concrete (SFRRC) up to the first-crack load. Specifically, this study used an experimental method to examine simultaneous flexural load-deflection response measurements on normal portland cement concrete (PCC), rubberized concrete (RC), steel fiber reinforced concrete (SFRC), SFRRC, and others. The objective of this study is to identify the major barriers to using BIM for a project’s estimating and scheduling. Personal interviews and electronic questionnaires for 30 companies were used to answer the research objectives. The study focused on how sub-contractors are currently using BIM for estimating and scheduling. The study provides recommendations on using BIM for estimating. A study was conducted to investigate the complexities associated with determining the actual project progress, and to better define the Percent Complete of project term. A survey, which included interviews of forty four (44) project managers of large scale public buildings, was undertaken. This survey was used to determine the project managers’ concept of the actual project progress, and Percent Complete terminology frequently used. The results indicated that although most project managers rely on the Percent Complete numbers to determine the contractor payments and to reflect project progress, the methodology used by individual project managers varies substantially. The variation in methodology was also observed while arriving at a number that reflects actual Percent Complete. This study suggests the need for uniform guidelines and a methodology that can be used to determine the actual projects’ progress and Percent Complete numbers. This research focused on modeling the first-crack load as a function of steel-fiber fraction to optimize the steel-fiber fraction through load-deflection response and flexural behavior of steel-fiber-reinforced concrete (SFRC). Specifically, this study involved an experimental method to examine simultaneous flexural load-deflection response measurements on normal portland cement concrete and steel-fiber-reinforced concrete. This study evaluates the energy consumption in houses for low-income families during the heating seasons, and estimates the savings associated with upgrading the heating systems. The study tests the effectiveness of using air-source heat pumps for space heating in eastern North Carolina. Economic evaluation of the heating system is performed based on the collected data which includes surveys, actual energy consumption. Results show that houses with heat pumps as the main source of heating have the lowest energy consumption and the lowest energy intensity. Heat pumps are found to reduce the heating cost in low-income mobile homes by up to 52% when integrated in an electric strip heat system and at the same time improves the thermal comfort.